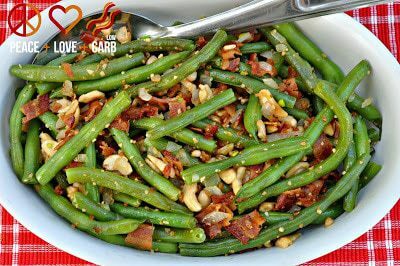 The turkey may be the main course no one can do without, but that doesn’t overlook the Thanksgiving side dish recipes! They are what truly make the meal a feast. 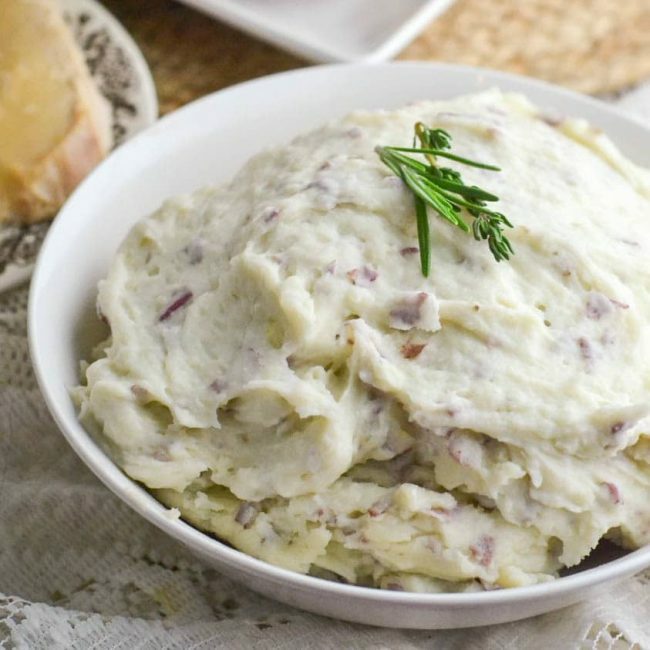 From creamy mashed potatoes and gravy to delicious stuffing and veggie sides – here are an assortment of dishes to round-out your menu. 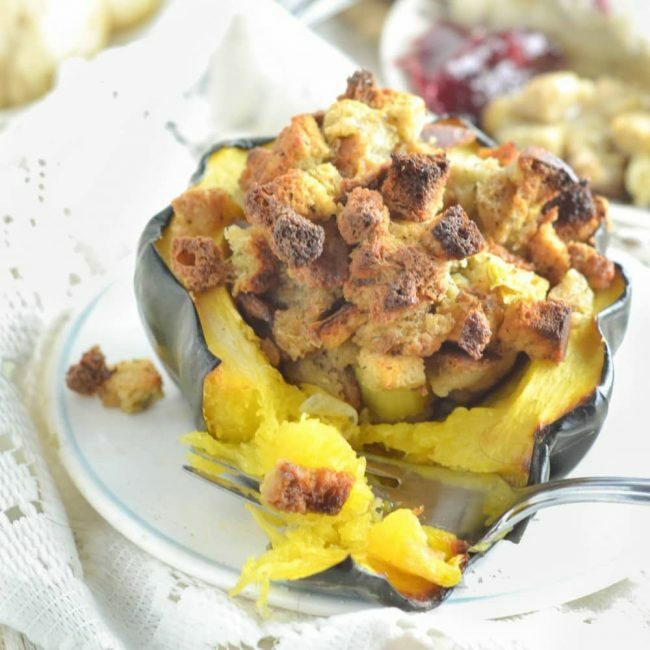 There you have it, 30 new, unique recipes to add some variety to your meal plan this Thanksgiving! 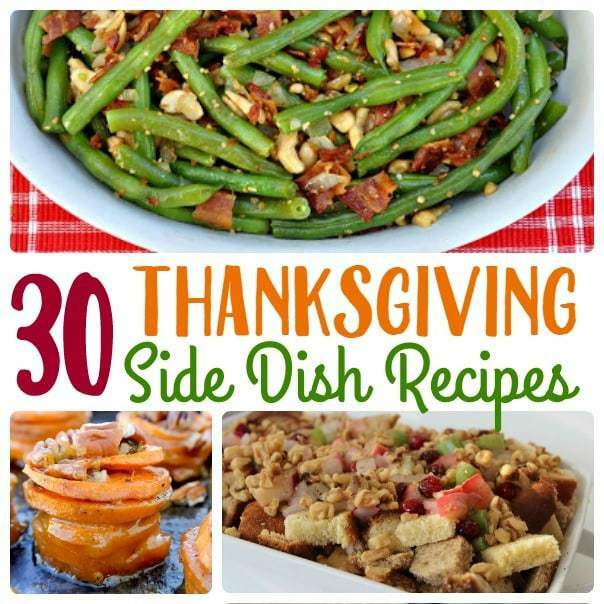 Which of these Thanksgiving side dish recipes will you add to your menu? I made sweet potatoes for Thanksgiving but I just baked them in the oven. Next time I want to try the Mini Sweet Potato Gratins recipe. It looks delicious. That’s a big list, that could carry you through until the new year. I could go for trying some of them right now. Lots of great recipes to try. I think the corn pudding sounds amazing. 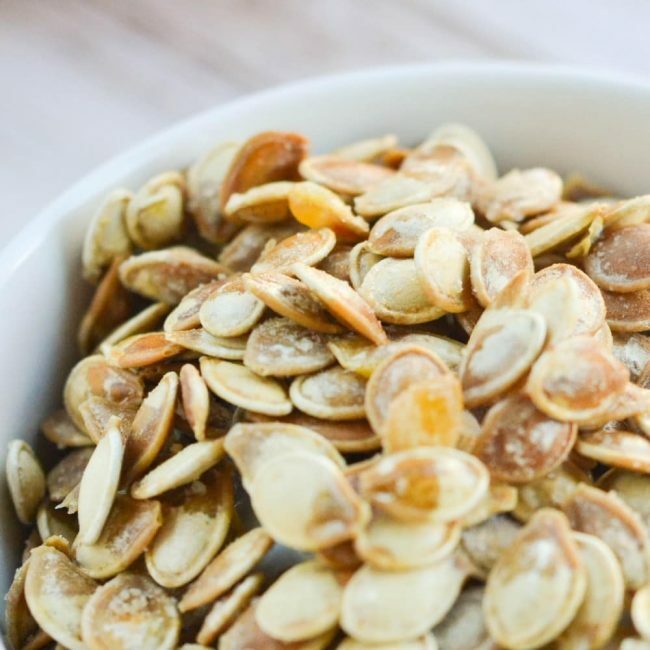 These would be wonderful sides throughout the entire holiday season. I especially love the look of the Pumpkin Pie Dip! This is a great roundup. I’ll definitely be making that pumpkin pie roll for Christmas. This is such a great round-up, Janel! 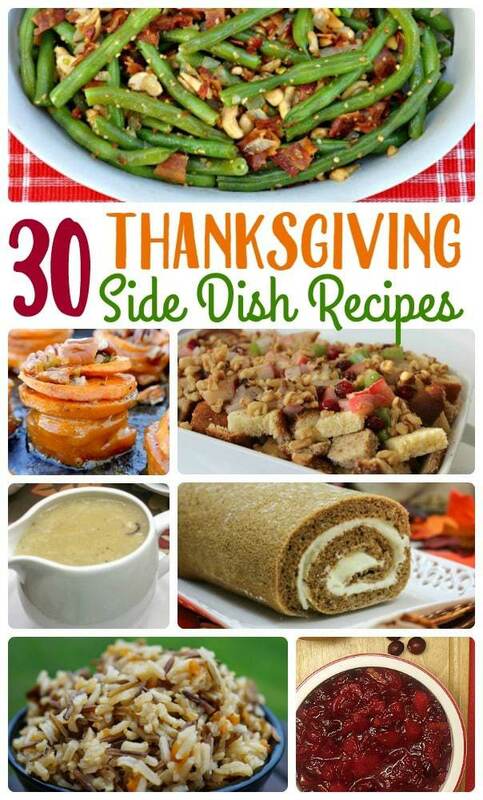 I’m going to need to host 2 Thanksgiving to fit in all this deliciousness! Thanks for the shout out!